TEXT FOR PRAYER I shall read from “The Mount of Blessing,” beginning on page 188, the last paragraph. No man with a father’s heart would turn from his son who is hungry and is asking for bread. Would they think him capable of trifling with his child, of tantalizing him by raising his expectations only to disappoint him?… And should any one dishonor God by imagining that He would not respond to the appeals of His children? If we do not believe what God tells us, if we do not believe what He says He is, then we dishonor Him. He is very anxious to give us gifts, but only if we want them. He is particularly anxious to give us the greatest gift — the gift of the Holy Spirit. Naturally, with this gift all other gifts are given. It was this gift that Solomon asked for, and with it he was liberally given all the other gifts. Let us likewise pray for this great gift. It is just what God wants to give us if we will only wholeheartedly and honestly promise — positively to use the gift in the way He would have us use it. THE OLD FAMILY TREETEXT OF ADDRESS BY V.T. 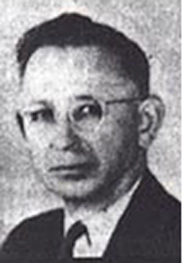 HOUTEFF,MINISTER OF DAVIDIAN 7TH-DAY ADVENTISTSSABBATH, MARCH 8, 1947MT. CARMEL CHAPELWACO, TEXAS Let us turn to the eleventh chapter of Isaiah, and begin our study with the first verse. Here is a family tree in which three persons are introduced. This verse does not say whom the rod represents; it does not say whom the Branch represents; but it does say that the stem is Jesse, the father of king David. The rod, of course, which came out of the stem, could be none other than the son of Jesse — David, the king of ancient Israel. The verses following this verse explain that the Branch is the Lord Himself. Clearly, then, this family tree represents Jesse, David, and Christ. The remaining verses of the chapter are concerning Christ, His work, and His kingdom. Upon this one gift — the gift of the Spirit — all things hinge. These verses, I am sure, need no comment save to mention that “the rod of His mouth” and “the breath of His lips” must mean God’s Word, His Truth. This very Truth to which we are listening this afternoon will, therefore, on the one hand slay those who reject It together with those who are disobedient to It, but on the other hand save those who give heed to It, and who comply with Its requirements. The one consequence is as natural as it the other. For example, did not the preaching of the gospel of Christ save the Apostles, but at the same time cause Judas to commit suicide? And did it not save the disciples but destroy all the unbelieving of Jerusalem in 70 A.D.? In the Kingdom here predicted, not only are men to be at peace with men, but men with beast, and beast with beast as well. The reason given for such perfect peace is that the earth shall be filled with the knowledge of the Lord. Knowledge, then, is what we need, and shall we turn it down now when it is so freely brought to our doors? Just as soon as God’s people obtain this knowledge of the Lord, just that soon shall the kingdom appear. So it is that while learning of God and of His wisdom, we are at the same time bringing peace on earth. Plainly, then, those who have not this knowledge of the Lord cannot become citizens of His kingdom. How essential, then, that we study for ourselves; how essential that we know what is Truth through our own personal experience, not through the experience of others! The Lord is to recover the remnant (those that are spared) of His people in the day this Kingdom is set up; that is, the Kingdom is set, then those who are left behind among the Gentiles, those who seek after the ensign, the Lord is to recover them. This second recovery of His people declares Inspiration, is to be from the four corners of the earth. The first, as you know, was from Egypt only. “Say unto them, Thus saith the Lord God; Behold, I will take the stick of Joseph, which is in the hand of Ephraim, and the tribes of Israel his fellows, and will put them with him, even with the stick of Judah, and make them one stick, and they shall be one in Mine hand. And the sticks whereon thou writest shall be in thine hand before their eyes. And say unto them, Thus saith the Lord God; Behold, I will take the children of Israel from among the heathen, whither they be gone, and will gather them on every side, and bring them into their own land: and I will make them one nation in the land upon the mountains of Israel; and one king shall be king to them all: and they shall be no more two nations, neither shall they be divided into two kingdoms any more at all: neither shall they defile themselves any more with their idols, nor with their detestable things, nor with any of their transgressions: but I will save them out of all their dwellingplaces, wherein they have sinned, and will cleanse them: so shall they be My people, and I will be their God.” Ezek. 37:19-23. Thus it is that “…in the days of these kings [not after their days] shall the God of heaven set up a kingdom, which shall never be destroyed: and the kingdom shall not be left to other people, but it [the kingdom] shall break in pieces and consume all these kingdoms, and it shall stand for ever. Forasmuch as thou sawest that the stone was cut out of the mountain without hands, and that it brake in pieces the iron, the brass, the clay, the silver, and the gold; the great God hath made known to the king what shall come to pass hereafter: and the dream is certain, and the interpretation thereof sure.” Dan. 2:44, 45. If the Kingdom is to destroy all these kingdoms, then It must be set up before these kingdoms are destroyed. The stone that is cut out of the “mountain” in the days of these kings, is itself to become a great mountain, and It, the Kingdom, is to fill the whole earth (Dan. 2:35, 45). In the days of Moses the Lord smote but one stream, the Red Sea, and one nation, Egypt. But now the Lord promises to smite every stream (all “seven”) and cause His people from the four corners of the earth to reach their land without so much as getting their feet wet. Although today as in Moses’ day, such a thing seems utterly impossible, yet it is certain that just as God made it possible then, He will now, too. The battle is the Lord’s, the will is ours. We have nothing to do but to obey His voice. That is our only duty Brother, Sister. There is no Bible Truth plainer than this, and there is no truth as important at this time as is this Truth. These are the very reasons that it either saves or destroys — to accept It is to have all your sins blotted out; to reject It, is to sin against the Holy Ghost. “Today if ye will hear His Voice, harden not your [heart]” is God’s counsel for you and for me. You well know now that this Truth is irrefutable. Try and see for yourself. After the first fruits and the Lamb are gone to Mount Sion, there shall be a highway for the second fruits, for those who are still in “Assyria,” the world. In other words, all obstructions shall be removed. Our faith shall not fail us, and our hope shall not be in vain, for God has not forsaken the earth. He Who rules and guides the stars in their unerring path, is able to lead us safely to our own land. Indeed, just as not one of them fails in its course, so not one of God’s promises shall ever fail to materialize. Let no one deceive you in this. Study verse by verse, word for word, read, stop and think, do not hastily pass by this positive, most urgent Truth, for as it was in the days of the flood so shall it be now, says the Lord (Matt. 24:37). The first born (firstfruits) who failed to paint the door post with the sacrificial blood in the first exodus, the type, perished. So any of the firstfruits of today who fails to comply with the demands of the message for today, will as certainly perish at the angel’s slaughter weapons (Ezek. 9:5, 6). “In that day,” that is, in the day His people are being gathered from the four corners of the earth, in that day are they thus to praise Him, because they will plainly see that His anger has been turned away from them. They will positively know that He is their salvation, their fear, and their strength. They will therefore with greater joy drink in the freshly revealed truths of the Bible. You certainly will not let anything hinder or stifle your voice now that God commands to cry out and shout. No, this is not what popular theology teaches, but you admit that this is what the Bible teaches, and that It we must believe rather than men. Thus far faith in God’s promises has not failed us, and why will He fail us now? — Never. Faith mixed with works will bring everything in due season. The adversaries of Truth shall fail, but Truth shall triumph, and the faithful with It. “Now faith is the substance of things hoped for, the evidence of things not seen. For by it the elders obtained a good report. Through faith we understand that the worlds were framed by the Word of God, so that things which are seen were not made of things which do appear. “By faith Abel offered unto God a more excellent sacrifice than Cain, by which he obtained witness that he was righteous, God testifying of his gifts: and by it he being dead yet speaketh. By faith Enoch was translated that he should not see death; and was not found, because God had translated him: for before his translation he had this testimony, that he pleased God. But without faith it is impossible to please Him: for he that cometh to God must believe that He is, and that He is a rewarder of them that diligently seek Him. “By faith Noah, being warned of God of things not seen as yet, moved with fear, prepared an ark to the saving of his house; by the which he condemned the world, and became heir of the righteousness which is by faith. By faith Abraham, when he was called to go out into a place which he should after receive for an inheritance, obeyed; and he went out, not knowing whither he went. By faith he sojourned in the land of promise, as in a strange country, dwelling in taberacles with Isaac and Jacob, the heirs with him of the same promise: For he looked for a city which hath foundations, whose builder and maker is God. “Through faith also Sara herself received strength to conceive seed, and was delivered of a child when she was past age, because she judged Him faithful Who had promised. Therefore sprang there even of one, and him as good as dead, so many as the stars of the sky in multitude, and as the sand which is by the sea shore innumerable. These all died in faith, not having received the promises, but having seen them afar off, and were persuaded of them, and embraced them, and confessed that they were strangers and pilgrims on the earth. For they that say such things, declare plainly that they seek a country. And truly, if they had been mindful of that country from whence they came out, they might have had opportunity to have returned. But now they desire a better country, that is, an heavenly: wherefore God is not ashamed to be called their God: for He hath prepared for them a city. “By faith Abraham, when he was tried, offered up Isaac; and he that had received the promises offered up his only begotten son, of whom it was said, That in Isaac shall thy seed be called: accounting that God was able to raise him up, even from the dead; from whence also he received him in a figure. By faith Isaac blessed Jacob and Esau concerning things to come. By faith Jacob, when he was a dying, blessed both the sons of Joseph; and worshipped, leaning upon the top of his staff. By faith Joseph, when he died, made mention of the departing of the children of Israel; and gave commandment concerning his bones. “By faith Moses, when he was born, was hid three months of his parents, because they saw he was a proper child; and they were not afraid of the king’s commandment. By faith Moses, when he was come to years, refused to be called the son of Pharaoh’s daughter; choosing rather to suffer affliction with the people of God, than to enjoy the pleasures of sin for a season; esteeming the reproach of Christ greater riches than the treasures in Egypt: for he had respect unto the recompence of the reward. “By faith they passed through the Red Sea as by dry land: which the Egyptians assaying to do were drowned. By faith the walls of Jericho fell down, after they were compassed about seven days. By faith the harlot Rahab perished not with them that believed not, when she had received the spies with peace. “And what shall I more say? for the time would fail me to tell of Gideon, and of Barak, and of Samson, and of Jephthae; of David also, and Samuel, and of the prophets: who through faith subdued kingdoms, wrought righteousness, obtained promises, stopped the mouths of lions, quenched the violence of fire, escaped the edge of the sword, out of weakness were made strong, waxed valiant in fight, turned to flight the armies of the aliens. “Women received their dead raised to life again: and others were tortured, not accepting deliverance; that they might obtain a better resurrection: and others had trial of cruel mockings and scourgings, yea, moreover of bonds and imprisonment: they were stoned, they were sawn asunder, were tempted, were slain with the sword: they wandered about in sheepskins and goatskins; being destitute, afflicted, tormented; (of whom the world was not worthy:) they wandered in deserts, and in mountains, and in dens and caves of the earth. “And these all, having obtained a good report through faith, received not the promise: God having provided some better thing for us, that they without us should not be made perfect.” Hebrews 11:1-40. Now while the eternal records are being made, will you not cause your name to be written among the great heroes of God? How can you afford to eternally lose out at such a late hour? Let’s review part one of our interview post. We found that the General Conference was basically firmly against the message of the Shepherd’s Rod. The leading men were against it from it’s inception when brother Houteff began to lead the Sabbath School lessons in 1929. But the message did not fade away, for it gained such traction that the GC leaders needed a man to meet with Houteff and expose his movement as not of God. They had tried once before in setting up a meeting with VTH to “go over” his doctrines in a formal meeting. This ended in a total failure as the S.D.A leaders were later found out to have double crossed Houteff. This so called “get to the bottom of his teachings” meeting was smoke screen to show the gullible people that the teachings had been looked into and found wanting. S.D.A and D.S.D.A historical accounts show that while this Los Angeles meeting was going on, GC leaders were back east in Washington D.C discussing strategies to put down the Shepherd’s Rod movement. The man who they selected to “beard the lion” was M.L. Andreasen, the top respected scholar of the day. Before we go further let’s review God’s word about how to tell if a movement is from Him. Thus, M.L was firmly handed his response. But being sent by the GC and knowing his goal to accomplish, M.L wrote his report in a slant that was appealing to the higher-ups, and we don’t mean God. This will become clear as we review it. So M.L begins early in his report to start this blacken character work. He points out that a certain disgruntled former follower “Hazel Hendricks”, had written a small book describing what she thought were error and falsehood in the SRod. But M.L. discussed the accusations of “whippings” and other terrible treatments of the young children on the grounds. But when M.L brought this up, VTH denied it and offered to bring the children right then and there to clear it. This was not pursued by M.L. Quick note on Hazel. Sister Bonnie Smith, who is still proclaiming the message at 88, personally told this author aobut the last time she saw Hazel Hendricks. It was at a Sabbath lunch and the two discussed their past. Mrs. Hendricks confided in sister Bonnie, that looking back she made a mistake and regretted what she had done. To this sister Bonnie told her it was not too late to make amends, of which Hazel could never (as far as we know publicly) come clean and repent. So sad when pride hinders us! He then goes on to basically mock interpretations such as Ezek. 4:9-17, Isaiah 7:21-22. However, while noting them as “fantastic” M.L gives no other idea as to their meaning. Thus, M.L sits upon the throne of judgment and renders a judgment without reasoning! In other words, Houteff is wrong but he doesn’t know why. They are just “fantastic”. Continuing on in his black report, he then says, “The truth is while the majority of persons deceived by the “Shepherd’s Rod” are people that this denomination is better off without, there are some we cannot afford to lose.” Huh?? With a wave of his hand M.L. judges the thousands of people who accepted the Rod as unworthy! If this is not mounting the judgment throne, tell us what is? The plain God’s truth is that there should be MORE Davidians among us today! Those who walk the talk. However, at this point Andreasen has his first reflective moment. He may have been dwelling on the call for reformation that the Rod declares, he says, “Honest people are led astray by the call of the “Shepherd’s Rod” to reform, and by their pointing out practices that we do not countenance, and which yet exist within the denomination. The only safe way to meet this is that we examine thoroughly the things that need rectification and make a determined and honest effort to eliminate all that will not stand the light of investigation. Next he goes into lamentation about what the S.D.A church is lacking. At this point , there can be no doubt that during the interview Houteff has struck a nerve. As we continue this will become more prevalent. “The field is divided on the subject of the Trinity. The vital doctrine of the 144,000 has ceased to be preached. Fantastic theories in regard to war.Hitler, and the future are being promulgated. The battle of Armageddon is a present source of discussion, and unauthorized books appear. The ever present question of the position which sister White should hold among us is a prolific cause of difficulty. At this point we clearly start to see that M.L. is reflecting on brother Houteff’s points and if the S.D.A church condemns the Rod’s position on reforms, then it cannot stand innocent if what is said is the truth. What we have here is Andreasen basically echoing what the Rod proclaims. Yet, he cannot bring himself to concur with the movement, lest he forget what his mission is. At this point M.L. reverts back to his blacken mission course. Yet no where in this report does Andreasen establish the Scriptural reasons for the so-called false doctrines. Nor does he explain why the movement is so “devilish”. It’s an unambitious black charge for the sake of tarnishment. The same unholy works the S.D.A leaders have promulgated since the Rod came on the scene. Except this time the church thought they could use the “master scholar” as their testimony to the ignorant and unaware in God’s church. It back fired! After letting his best blacken charge stand, mysteriously he again reverts back to acknowledging the Rod’s points. It seems a real spiritual struggle is going on within Andreasen now. He has been awaken by the “lion” whom he said he would “beard”, meaning expose and conquer in the written report. Now the lion has made him reflect and he finishes his report with a rebuke of the then current S.D.A church condition! “If we answer one charge on which we are sure and omit others, we give them weapons against us which we can ill afford to give them. Should they merely list the things we must, of necessity, omit in our answer, this list will expose our weakness. The question, “why have we not answered all the charges” will naturally arise in the mind of the reader. And we are not prepared to answer them until we have done some housecleaning… the opinion prevails that the General Conference is not interested in Bible study as such; that it is each man for himself, with the General Conference a mere onlooker. Wow, what we have witnessed in this report is truly eye-opening! The great S.D.A savior who was to go into the “lion’s den” and come out victorious, instead came out as a dog with his tail between his legs! He conscience was greatly affected by this interview and thus he ended up making the whole case for the Rod movement–reformation! Sadly, M.L. Andreasen never did accept the Lord’s Rod message (Micah 6:9 and Mal. 4:5) as far as we know. He became involved in trying to correct some of the wrongs within the S.D.A church in the latter years of his life and was largely an outcast for it. Plainly then it appears this interview, whom many believe was with the last prophet to be sent to the S.D.A church, dramatically affected him from then on. The whole lesson here is that God works for his people and yet the leaders are often the very ones who reject the message God’s gives. Now is our time to work brethren, let us learn from this very important lesson God sent us. In the annals of our church history stands out one of the most prolific , yet not well-known, one on one interviews the church has ever had. The man inspired of our Lord to hand the mantle to another man, yet unfortunately it would end in bitterness and anguish by one man. In this post we will review this historic account of Pastor M.L. Andreasen and Minister Victor Houteff. There is a BIG lesson for us here. Let us carefully look at this lesson sent by God for our instruction. By nearly all accounts Pastor and theologian Andreasen was a gifted man. Well versed in God’s word and given the ability to translate God’s word with motivating skill. But what many do not know is that Andreasen’s change in dealing with the S.D.A church appears to be due, in a significant way, to the aforesaid one on one interview. Our story starts in 1928 when Andreasen authors one of the most profound books in our Advent history called “Isaiah the Gospel Prophet”. Later in 1929 the subject of Isaiah’s chapters was the first quarter’s Sabbath School lesson. The lesson was largely based on Andreasen’s in-depth study of Isaiah. 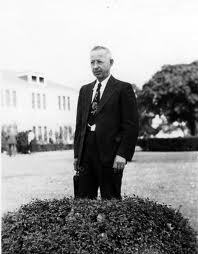 In 1929 brother Houteff began to teach the Sabbath School lessons in Olympic Exposition Park S.D.A Church in 1929, Los Angeles. It is during that year that Victor began to see new understandings from this part of Scripture. There is something different when you or I search the Scriptures, possibly being “inspired” by them or even led by them to know “all truth”. Yet when one is “chosen” of God it is on quite another level indeed! As Houteff explained the lessons, word soon spread among the church members, that something special was going on. For as the year went on the crowd began to grow sizeably and they began to have two lessons even after church. Yet the leaders were not so humble to accept new revelations. “The enemies of the message then left nothing unturned in their search for something against me, rather than to make sure that they were not turning down Truth. They tried every hook and crook to pin something on me and to stop my activities, but found nothing and as a rule about 30 members of the church stayed in my special meetings each Sabbath afternoon. Then came the time that the elders of the church refused to let us use the church for our meetings, and they made us all get out. But one of the sisters who was living in a big house right across from the church offered her place for the meetings, and there was a great uproar among the people around the church premises. Some were for us and some were against us. So it was that the house across from the church was filled that afternoon and many listened from the outside through the windows. The enemies failed to break up our meetings, and the victory was ours. Next they forbade us to attend their church services, and they began to disfellowship those who still wanted to attend our meetings. They tried to deport me, too, but failed. Then they endeavored to get a court order against any of us going to the church on Sabbath, but lost out. Once they called the police to have me arrested on false charges that I was disturbing the meetings, but after the officers in the police station heard my story and the deacon’s charges against me, he commanded the two policemen who brought us to the station to put us in their car again, and to take us right back to the church where they picked me up! After this the elders endeavored to put me in an insane asylum. The “city manager” of Glendale himself (a Seventh-day Adventist) had come to this church that Sabbath morning to lay down the charges and to see me carried away and locked in the asylum. After talking with me for a few minutes, though, the officer did nothing but to tell me that he would not bother me again! Then the 200 lb. city manager felt smaller than my 135 lb. weight. So no doubt the beginning of the Lord’s final message of “Elijah”(Mal. 4:5) began with strong headwinds. No doubt the great enemy , Satan, knew full well he must start his counter attack. Thus, this was the way that M.L Andreasen and other top leaders reacted , generally, throughout the Seventh-day Adventist community. Not so much with the laity, which to a sizeable decree, began to accept or at least acknowledge some truth within the message known as the “Shepherd’s Rod”. Soon the message had gained enough traction throughout the denomination that the leaders were forced to hold a formal meeting with Houteff to review his teachings. This was known as the famous sit down meeting to once and for all look at the Rod. It was held in Los Angeles in February 1934. But, as might be expected, this meeting ended in a fiasco, with an unbelievable S.D.A double-crossing of brother Houteff. This is documented. “Dear brother Andreasen: Just a line to say that the brethren still want you to write the reply to the Shepherd’s Rod, and they believe you are the man who is best qualified to do this work. .. The committee has voted today to authorize you to make a trip to the headquarters of the Shepherd’s Rod movement in Texas at such time as you are able to arrange for an absence from the Seminary, and spend as much there as you think wise.. So because the Lord’s Rod message was doing its intended work in His vineyard, the SDA leaders continued their impeding work, and finally found, they believed, their man to quash the movement by exposing its error and deception. Andreasen would not only be able to hold his own against Houteff, but would prove his “false theories” as just that–false.The great savior had been found to “beard the lion”! The Davidians goal was to “reform” God’s people, in dress, worship, health, study habits, etc. yet the S.D.A church was getting a “man who is best qualified to do this work” whom they thought would put the movement down! The cronyism and club, the S.D.A hierarchy, was not about to be overturned, by any movement, even by one from God! Question 4 — What is the seal in the forehead mentioned in Rev. 7 ? DB — Starts out by quoting Ephesians 4:30. There you have the name of God, the title of God, the territory of God in the middle of the law of God is the seal. In the last days if you will have the law of the Lord in your heart and in actions and in your mind you will not have the mark of the beast. If you don’t have the law of God in your heart, your hand or your head, you’ll have the mark of the beast. ..if you’ll read Ezekiel 9 there’s another vision there. By the way Revelation is referring back to Ezekiel that everybody in Jerusalem was to be destroyed except those who had this mark placed on them by this angel. Everybody in Ezekiel 9 who gets the mark is saved. Because they are sighing and crying for the abominations that re done in Israel. There was false worship that was happening among the people of Israel. So DB declares that the seal as found in Rev. 7 is the obedience of the Sabbath and puts Ezekiel 9’s marking or sealing in past history. Being sealed in Christ “with that Holy Spirit of promise,” after having “heard the word of truth” (Eph. 1:13- 4:30), the saints are consequently sealed by Present Truth—the truth preached in their own day. “The seal of the living God,” the Truth, by which the 144,000 are sealed (Rev. 7:2), is a special seal, being the same as “the mark” of Ezekiel 9. (See Testimonies to Ministers, p. 445; Testimonies, Vol. 3, p. 267; Testimonies, Vol. 5, p. 211). It demands one’s sighing and crying over the abominations which defile him, and which desecrate both the Sabbath and the house of God, especially against selling literature and raising goals during Sabbath services. So, the former seal enables the receiver to rise from the dead in the resurrection of the just, while the latter seal enables the sighing-crying one to escape death and forever to live for God. Key points are brought up such as SOP showing the direct relationship to John’s sealing and Ezekiel’s (Testimonies to Minsters, p.445). This , we believe, is so profound that we have a separate report on it called “The Game Changer”. As we review the differences in interpretations of the two men we see clear opposing Scriptural teachings. 1) On our first question, Batchelor does not feel it’s important to expand upon the four winds in Rev. 7. Yet if the winds are held back for the sake of sealing the 144,000, then we should assume that these winds are not just some trinket but serious symbolical happenings to effect the earth and people therein. Houteff shows the most specific SOP reference there is in identifying , in context, these four winds –Testimonies to the Church, vol. 5, p.152. We cannot understand Batchelor’s ignorance of this reference. 2) Batchelor declares some standard SDA doctrinal teachings on the “spiritual” grafting in of the 144,000 into the “symbolical” twelve tribes. He does not believe that God has any heavenly record of the bloodline of the original Jews. In other words the “twelve tribes”part of Rev. 7 is not to be taken literally. 3) Batchelor does not address the issue of the 144,000 in regards to it’s relationship to the SDA church. But once again we see that mysteriously he ignores the profound statement from God through SOP where Ezekiel 9 and Rev. 7 are the same event-same sealing. As far as he knows these people can be any people from anywhere, and not just from the SDA church. The haziness here is disconcerting. Houteff builds his case once again on Inspired statements. He emphasizes that the term “first fruits” requires that second fruits are to be harvested, lest the term first fruits is a vain thing. The harvest is ONLY through the church “Jerusalem” or “City” as shown in Ezekiel 9. Thus Houteff builds the case that as the 144,000 are all that are sealed from the tribes “church” then a second harvest is gathered by these first fruits as shown in Rev. 7:9. In the Rod writings you will see the very important SOP reference that tells us the “Israel of today ” is the SDA church, found in Testimonies for the Church, vol. 9, p.164. The message is brought to the S.D.A church , and like a homing pigeon the people that come into our church are those “who are fortunate enough to have this revelation brought to them.” Yes, all within the S.D.A church have their chance but just as in Jesus day, only few decide to come aboard. As SOP says we are the “Israel of today” from God’s impeccable guidance. 4) In the very important point of knowing what the seal of God is in Rev. 7, Batchelor again uses the standard SDA understanding of the Sabbath as that seal in our foreheads. Though acknowledging a marking or sealing through Ezek. 9, he places this prophetic statement in past history, ignoring several key statements given in SOP about this subject. We know Batchelor has spoken of Ezek. 9 for a future event, but he has never placed it in connection with Rev. 7 and putting it BEFORE the winds blow (Sunday Law) where Inspiration places it. This we feel is serious derelict of teaching duty. In conclusion, the teachings are a sharp contrast and each must seek the Lord in prayer to know the Truth. Once we “study to show yourselves approved”, we should have little problem knowing what is God’s word on the 144,000 and seal and what is learned men’s ideas. In today’s S.D.A church world there is very well-known pastor who is considered one of the leaders of our church movement. As many of you know we have spoken about Mr. Batchelor several times on this blog. We agree that few contain as much knowledge of Scripture and SOP as Doug. His position as one of the prominent leaders of the S.D.A church today is undeniable. His organization “Amazing Facts” is vastly expanding yearly. With this in mind it would be illuminating and a chance to present the difference between “learned men” and what some consider– Inspiration. As we near the end of our S.D.a probation, we thought it would be good to discuss one of the main doctrinal teachings of the Elijah message–the 144,000. This and the church reformation is what our Lord told us would be the primary focus for His people in the last days. So no one should doubt today that this subject of the 144,000 is paramount to us as Adventists. Ok let’s get down to the nitty-gritty of the two teachings, then you’ll decide which is Truth in the closet of prayer. Please pray BEFORE examining this study. 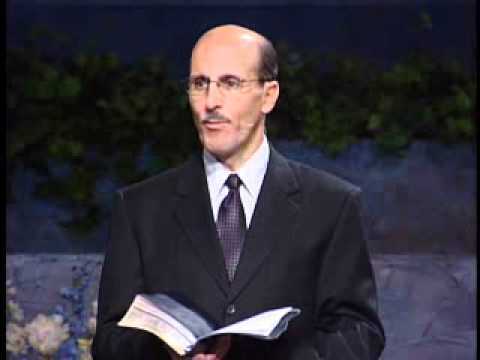 We will use Doug’s two-part YouTube series called “144,000 and the Seal of God” for his positions and we’ll use the Shepherd’s Rod writings for Victor Houteff’s position. Question 1- In this context, what does the four winds represent? D.B — Means “winds of strife” that will eventually blow upon the earth. The strife is “kind of summarized in the seven last plagues”. This issue of what exactly the four winds represent in this Revelation context is largely not discussed nor examined by DB. We wish we had more to give but that is basically all DB mentions about the winds. VTH — Uses the following SOP reference for specific clarification. “Here are brought to view two hurtings about to take place: one by the winds, the other by the angels; and two commands to the angels: one that they restrain the winds, that the winds blow not “on the earth, nor on the sea, nor on any tree” (Rev. 7:1); the other that the angels restrain themselves from hurting “the earth,… sea,” and “the trees,” till the servants of God are sealed. Rev. 7:2, 3). Since, therefore, as soon as the servants of God are sealed both the winds and the angels will begin to hurt the question arises as to what the work of the winds and the work of the angels represent — political strife or something else? As the nations have always been at war, this two-fold work of hurting could not represent political strife. And as Jesus says that at the time of the end “nation shall rise against nation, and kingdom against kingdom” (Matt. 24:7), it is clear that the hurting by the winds, also the hurting by the angels both of which are kept back until the 144,000 are sealed, must be figurative of holding back the “time of trouble, such as never was since there was a nation.” Dan. 12:1. Accordingly, God’s restraining of the four winds is His holding back the image of the beast’s activity (Rev. 13:15-17) against the saints, while His restraining the four angels that they hurt not is His holding back the executing of His vengeance (Isa. 63:1-4; Jer. 51:18) upon the sinners who trouble the church, until after the sealing of the 144,000 is completed. Being coupled, these two hurtings bring the time of trouble such as never was. Question 2 — Are the 144,000 spiritual descendants or literal descendants of the twelve tribes? DB — Makes a special point of saying that the list of the twelve are not the same as frequently listed in the OT Bible. 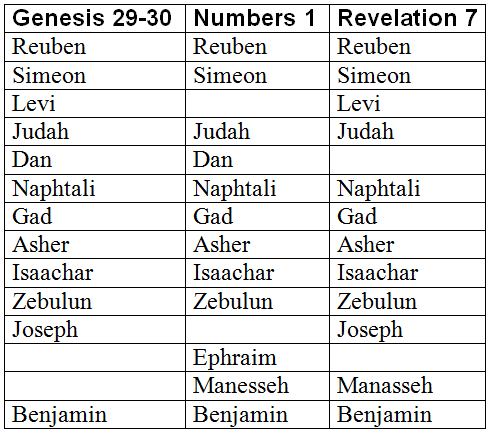 For instance here is a handy list of the progressive names/changes of the 12. This is done to set up one of his pillars for establishing that the 144,000 are spiritual descendants not literal. He says, “The idea that getting an even number from each of the tribes, that would be interesting, but I believe that they are actually talking about spiritual Jews. That could include literal Jews and it could include people who have been adopted into the seed of Abraham by accepting Christ. Let me tell you why. He goes on to point out that the two tribes of Judah did come back to Israel but the ten tribes were dispersed, intermarried and disappeared as a distinct people. Clearly DB does not believe in the literal application. Ok, fair enough ,let’s look at what the other view says. “Whosoever has been converted to Christianity, accepting Christ as his personal Saviour, has had an experience which has completely overthrown and revolutionized his former plans and hopes, his entire way of life. He has renounced the world and all its “pleasures of sin for a season” (Heb. 11:25), and has become a new creature in Christ, born again, heir of the kingdom according to the promise! This is what Jesus meant when He declared to Nicodemus: “Ye must be born again.” And Paul, having this experience in mind, says: “If ye be Christ’s, then are ye Abraham’s seed, and heirs according to the promise.” Gal. 3:29. Since, therefore, history, logic, and scripture combine their evidences to prove unconditionally that God has preserved the genealogy of the chosen branch of the human race forward from Adam to Noah (Matt. 1:1-17), and backward from Jesus to Adam (Luke 3:23-38), He must, then, for a consistent reason, also have preserved the identity of the elect today. And this we see, is precisely what He has done in His designating the lineage of the 144,000, as “of all the tribes of the children of Israel.” Rev. 7:4. So the two are presenting opposite views. DB saying it’s symbolic and not literal descendants and VTH believes they are a people with the bloodline “seed” passed on down through the ages. VTH establishes the point that the 144,000 are literal descendants of which God alone has kept tract of the bloodline. Let’s keep in mind that the tribes intermarried both in the OT and NT and thus the original Israelites and the Israelite Christians (early Christian followers) took Black, Brown, Asian, and other nationalities as wives. Thus today we cannot tell who is who–but God can and does! Question 3 — Are the 144,000 the only ones to be saved in the last days? DB– Addresses this only from whether it applies from the world, does not mention or discuss whether it applies to the S.D.A church, The latter is a non-issue with him. “If you do the math that would be pretty sad because there are about seven billion people in the world, and if only 144,000 are going to be saved, that means your chances are about 1 out of 50,000. It’s still better than the lottery in Florida, did you know that? No they are not the only ones saved. They are a special group of leaders. So we must deal with this prophetic connection –Rev. 7 sealings and Ezekiel 9 sealings (markings) are the same event. The church purification and the birth of the 144,000. DB does not touch on this at all. “The 144,000, let us note, are not from the Gentile nations, but strictly from the church, from the twelve tribes of Israel — from the descendants of Jacob (Rev. 7:3-8). Then, to conclude that there will be no more than 144,000 living saints when Jesus comes the second time, is to say that not a soul from the Gentile nations is to be saved, which, of course, is contrary to the teachings of the Bible, not according to Jeremiah 8:20, not in harmony with the testimony of the prophets, though in harmony with the law. Moreover, the 144,000 are only the first fruits (Rev. 14:4) and where there is first there must be second fruits also else there cannot be first. Because there is a first resurrection we know that there is a second one. Those that were seen after the sealing of the 144,000, the great multitude from all nations (Rev. 7:9) are, therefore, the second fruits. Besides their racial lineage of identification there are the words “first,” “fruits,” “servants of God,” “sealed” and “standing on Mount Zion” by which to identify who the 144,000 are and what they are. Obviously they are called fruits because they are the result of the “harvest,” the work which separates the tares from the wheat. The word “first” connotes that they are the first crop (group) to be harvested — separated from the “tares,” for Jesus explains that the harvest is the time in which to separate the tares from the wheat (Matt. 13:30). However unlike DB, Houteff deals with this issue in a specific way in regards to the S.D.A Church. The following references solemnly describe the 144,000 S.D.A issue. So in regards to our church, VTH has a direct application of Rev. 7 sealings of the 144,000 applying to our SDA church. Thus the two men, are at opposite beliefs on this aspect of the 144,000 saved. DB does not give any credence to it affecting our S.D.A church directly whereas VTH counters it has a profound direct relationship to us as Adventists. This concludes our part 1 of this subject, next week we’ll finish with part 2. We’ll present a final summary as well. What was Ellen White’s referring to as “my work”? Was it playing the harp and visiting other planets? Or was it saving souls for Christ? Yes, this was the only work they knew and did and that work will be taken up once more in the premillennial kingdom, praise the Lord. “In these three verses several things clearly stand out: (1) Only those whose names are written in the books are delivered; there are therefore no “foolish” ones among them; (2) Those who are resurrected, however, are mixed, both foolish and wise come up; (3) The statement, “and they that be wise [implying that some be foolish] shall shine as the brightness of the firmament” indicates that these “wise” ones are from among the raised; (4) That if the wise are from among the resurrected and turn many to righteousness, then they must be resurrected in probationary time, in time of salvation. “Your work, my work, will not cease with this life. For a little while we may rest in the grave, but, when the call comes, we shall, in the kingdom of God, take up our work once more.” — Testimonies, Vol. 7, pg. 17. Here we see that the wise are those who take extra oil, extra Truth that lightens the rest of their way. Finally, it plainly appears that this mixed resurrection is a test; that is, they are all given the opportunity to be wise, to turn many to righteousness, but only a part of them do so. Some of them again fall into sin, and therefore they awake to shame and everlasting contempt (everlasting disobedience), but the wise awake to everlasting life, never again to die. So we see that there is “work” yet to be done by the faithful whom God will raise up during the “time of trouble” which we as present truth believers know is post Ezekiel 9 church judgment. The self-centered shepherds against whom the prophet is told to write, are to be replaced by one shepherd, David. When this takes place God’s people will then have but one shepherd. This, of course, cannot be Christ Himself, for Inspiration never calls Him David, but rather It calls Him the Son of David. Since God’s people have always had, and still do have many shepherds, the truth stands out as clear as crystal that the David of verses 23 and 24 is yet to come, and that the shepherds whom Inspiration addresses are in particular those whom David is to succeed. Ezekiel, then, was not given a vision of the shepherds in his day, nor of those before his day, but of the shepherds after his day — the day in which God raises up this antitypical David to feed His hungry and neglected flock. God’s people shall then no longer serve strangers, “But they shall serve the Lord their God, and David their king, whom I will raise up unto them.” Jer. 30:9. Here we see that not only Ezekiel, but Jeremiah also was given a vision of this same truth. Yes, all the prophets. We see that there is to be “one shepherd” instead of today where there are all kinds of shepherds trying to lead the flock, yet falling abysmally short. The Lord tells us prophetically that the last days shall have a kingdom and a king to rule there, no question about it! What we also see is that the Lord will “raise up unto them” a king (Jer. 30:9). “The Lord will work in no less miraculous a manner now to free His people from being ruled by a worldly organization. He will command the work Himself in the same manner as He did in Moses’ and David’s day. …In the days of Moses and in the days of David, when the Lord had the work in His Own hands, He spoke to the people through Moses and through David, and thus He ruled. In like manner will He, at this time, rule the work when He takes the reins in His Own hands. …It is generally understood that when Christ visibly appears, the nations will die by the brightness of His coming, and thus the wicked will have no chance for either the Lord to speak to them or they to speak to Him. Furthermore, according to the parable, He sits on the throne of His glory instead of sitting on the clouds as in 1 Thess. 4:17. We have heard the argument “Oh no, you take away Christ’s rightful role as the restoration one”. No, “we” do not, the Lord has spoken that HE wants His Elijah prophet to supervise and command the kingship in the time of restoration, just as He wanted Moses to lead His people. “In visions of the night, representations passed before me of a great reformatory movement among God’s people. Many were praising God. The sick were healed, and other miracles were wrought. A spirit of intercession was seen, even as was manifested before the great Day of Pentecost. Hundreds and thousands were seen visiting families and opening before them the word of God. Hearts were convicted by the power of the Holy Spirit, and a spirit of genuine conversion was manifest. Some of you may not know much of this man –Victor T. Houteff, but if you are like a detective, a Sherlock Holmes type, searching each piece of the puzzle, you will come to this conclusion we assure you. Stick to the Bible, SOP and the Rod and you’ll have no trouble. Let us remember that the Lord loves His people deeply and has pointed a clear road map for His Seventh-day Adventist people, clear to the kingdom, we only have to follow it. “. . . a great people and a strong; there hath not been ever the like, neither shall be any more after it, even to the years of many generations. A fire devoureth before them; and behind them a flame burneth: the land is as the garden of Eden before them, and behind them a desolate wilderness; yea, and nothing shall escape them. The appearance of them is as the appearance of horses; and as horsemen, so shall they run. Like the noise of chariots on the tops of mountains shall they leap, like the noise of a flame of fire that devoureth the stubble, as a strong people set in battle array. Before their face the people shall be much pained: all faces shall gather blackness. They shall run like mighty men; they shall climb the wall like men of war; and they shall march every one on his ways, and they shall not break their ranks: Neither shall one thrust another; they shall walk every one in his path: and when they fall upon the sword, they shall not be wounded. They shall run to and fro in the city; they shall run upon the wall, they shall climb up upon the houses; they shall enter in at the windows like a thief. As all true believers know, the Lord’s word cannot return void. He does not lie. So this promise must be fulfilled. Yet, we as fallible humans, often do not understand clear plain Scriptures as we should. While that verse is simple it is profound and deep. Let us look at this very important promise from the Lord. Last week we posted on the subject on the Trinity. Occasionally we will receive a comment or two below our post. Last week we received some from “Dave” and he actually brought up a very timely point and that is –if brother Victor Houteff, who we as present truth believers believe was the Elijah to come as prophesied in Mal. 4:5, was to restore all things, how can that be when he died and all things have not been restored? This is a very good and proper question! There should be no questions, no inquires that we should be afraid to answer. If we have studied as we should, the Spirit of Truth is well able to recall for us the helpful answer. The real problem does not come from the questions but whether the hearer can shake his pre-conceived ideas for a “Thus sayeth the Lord”. So let us look at the question in-depth. The original Elijah as we all know , fought the good fight in calling out sin and abominations taking place among his people. He did his work then the Lord took him alive from the earth to heaven. So likewise many think that the latter-day Elijah to come must also follow in these exact steps and do his work and, like Elijah, not die and be transferred to heaven without seeing death. But instead of our thinking, our ideas how about we take Inspired words from God’s prophets? So there we have it–Elijah typifies the 144,000! These are the ones who shall not taste death as Elijah did not, type meets anti-type. This clears one of our issues that some raise. Because brother Houteff died, that did not disqualify him as the end time prophet because, although he came “in the spirit and power of Elijah” he did not typify Elijah just as John the Baptist did not. Both came with the Elijah spirit of rebuke and calling out reform, yet died after their work was done. One other fact we cannot overlook. Both of them , John the Baptist and Victor Houteff had a preparatory work to do, in preparing the people to meet the Lord. Present truth believers know very well that the message of the Rod is all about this preparation. It is often referred to as the “sealing message” as the instructions within It show how we are to be sealed when the Lord “suddenly comes to His temple”(Mal. 3:1). We are all well familiar with the purpose of John the Baptist’s mission, to prepare the way for the Lord first advent.The following Scripture tells of God’s end time messenger preparing the way for the Lord’s next coming — the invisible coming to His temple (church). This is not the “Second Coming” as that is the second “visible” coming for the world to see. If you have any confusion of why this coming is needed, just continue reading verses two to six. “… as John was a messenger to God’s own people at that time, just so at this time the Elijah of Malachi’s prophecy represents a message which is to be delivered not to the world, but to the professed people of God. As John was their last prophet, his message was their final means to fit them for the Messiah’s appearing, for which cause said the Master, “If ye will receive it, this is Elias, which was for to come. (Matt. 11:14) Likewise, Elijah’s message of today must be to the professed people of God, and is to be their last means to fit them for Christ’s appearing at this time. Hosea chapter 1 and 2, Daniel 8, Daniel chapter 11, Revelation –all chapters, Nahum, Micah, Zechariah, Zephaniah, Joel and the list goes on and on. Much of this pertains to the great and dreadful day or the promise of His end time kingdom in Israel. In other words brother Houteff’s work was to reveal to us what the Lord has in store for us His remnant people. This is always the tell-tale sign that an adversarial power is at work when the Rod is denied or rebuffed. They will not address the prophetic explanations rather try personal attacks such as “Houteff died”, “Houteff married a very young woman”,”Houteff taught that Davidians will someday kill Adventists..” and so on. On our sister site “HearYeTheRod” we just completed a 10 part series detailing how the most infamous accuser of the Rod–Ismael Rodriguez brings such utter falsehoods and accusations, without merit, against the Lord’s Rod. “…since Elijah is to herald the great day, he can therefore be the only one who will rightly interpret the prophecies of the day, which are still mysteries to Christendom, and even to our own Denomination! Indeed, to reiterate, it is for this very reason that the prophet is sent. He is to unroll the scroll to explain what the day of the Lord is like, what the Lord will do then, and how we may survive His judgments. Ok, let’s now deal with the point of how can Victor Houteff be the Elijah to come if all things were not restored by him? Ok, although we’ve cleared some basic points , but we still need to go further. There remains much more restoring to be done. For instance, the final gospel proclamation, the set up of the Loud Cry kingdom headquarters in Israel. Where does Victor Houteff fit in concerning that? It is natural for us humans to say, “Well Victor died so that means he’ll not be able to restore all things”. But as we have shown already, Victor Houteff did the preparatory work in setting in motion the Lord’s Rod (Micah 6:9, 7:14). Yet, why would we then say that the Lord really did not mean that Houteff would do both, the preparatory work and the restoration work? Does not make any sense. Further the word promises only ONE Elijah to come, not “Elijahs”. Where does it say that another prophet is to come after the Elijah? Nowhere. Yet watch closely, many accusers and deniers that Victor Houteff could be the final Elijah for this and that reason (or even denying him a prophet), have their own prophet they are following, or they themselves may even declare themselves a prophet! For many SDA, just like the Jews with Moses, they are stuck on one prophet–Ellen White, even some going so far as to claim she was the Elijah to come! Let us look what the Lord has in store in His word. He does not fail us in telling us the Elijah plans. “Now, what is the overall purpose of the house of David? — The house of David, the Scriptures reveal, is being built up for a three-fold purpose: (1) During the ingathering of the people, it is to “build the old wastes,” to “raise up the former desolations,” and to “repair the waste cities, the desolations of many generations.” Isa. 61:4. This work of rebuilding and restoring has as its type the rebuilding of ancient Jerusalem by the ancient Jews returning from their Babylonian captivity to the land of their fathers. Just as they were to build the wastes, the former desolations — the temple of the Lord, the city and the walls — and to restore the worship of God according to the Lord’s own Divine will, so we, too, now in the antitypical ingathering are called to do a similar work, only much greater both in scope and in proportion. We must therefore labor even more incessantly than they labored, and be happy and thankful for having been privileged to have a part in such a great and glorious work. (2) In addition to this great and grand work, while in God’s hand as a battle ax (Jer. 51:20), He is with it to break the Gentiles’ yoke which now rests upon the shoulders of God’s people. With it He is to emancipate His people from Gentile rule: “from Assyria, and from Egypt, and from Pathros, and from Cush, and from Elam, and from Shinar, and from Hamath, and from the islands of the sea….” (Isa. 11:11). With it He is to “set up an ensign for the nations,” and to “assemble the outcasts of Israel, and gather together the dispersed of Judah from the four corners of the earth.” Isa. 11:12. To get this work done we are to be at first the “many fishers,” then the “many hunters” (Jer. 16:16). Thus it is that the first fruits are to be gathered “one by one.” Isa. 27:12. We are now in the hunting days — going from city to city, from village to village, and from door to door, a thing which has never before been done. Besides fishing and hunting we also are to make “a highway for the remnant of His people which shall be left, [after the first fruits are gathered] from Assyria; like as it was to Israel in the day that he came up out of the land of Egypt.” Isa. 11:16. After this hunting is over and the highway built up, then it is that the second fruits will flow to the mountain of the Lord’s house. One nation, as it were, will say to another nation, “Come, and let us go up to the mountain of the Lord, and to the house of the God of Jacob; and He will teach us of His ways, and we will walk in His paths: for the law shall go forth of Zion, and the Word of the Lord from Jerusalem.” Mic. 4:2. (Timely Greetings, Vol. 1, No., p.9-10). Ok so we see that the final work of God’s restoration plans is the house of David established in the Holy Land. But who runs that? Is the Lord to come down and sit on the throne? Is there to be a new person to come on the scene in the last days? Or is Victor Houteff to come back and finish the work God had him start? Stay tuned for part two next week, Lord willing. Last week we showed the first part of the study, and so far we see that Art has been quite perplexed as to his son’s revealing Scriptures and SOP. Johnny: Do you remember where we showed that the Lord is to have a conquering church? Art: Yes, that was from our prophetess. Johnny: But how can this be Dad, when right now we have our own beloved church allowing abortions upon demand ,and people with non-Biblical perverted lifestyles ministering in our churches, for example? Art: Son, we are still sinful people and the Lord is to work upon us as we walk through our Christian experience. Johnny: That’s true Dad, but the word says there will be a church purification before the Loud Cry. Art: I never heard of such a thing show me where you get that? My understanding is that there will be a testing time, the Sunday law, and that will cause the weak in faith to depart the church and thus this produces a solid deep faith church, willing to stand for Christ and His word. Johnny: There is way too much to address all of the evidence now but I will show you a few. Art: Ok son you are presenting much that is quite different from what we as SDA have learned or teach , now tell me how you found all this? 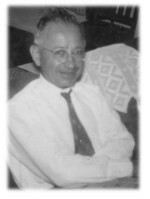 In 1929 a man taught in our church, in the Sabbath school lessons in Los Angeles. His name was Victor Houteff. This is how I came across all this. He has some publications called the Shepherd’s Rod. Johnny: Houteff, he is believed by some to be the prophesied Elijah to come that the Lord promised He would bring to His people. But I must tell you that the first two original publications of the Testimonies to Minsters this quote was left alone. But in 1962, the General Conference added an asterisk to it saying that Ellen White was talking of herself as the Elijah to come. It was after Victor Houteff died and the SDA church was dealing with an underground movement saying that his writings were inspired and should be followed. So to quiet the speculation they published a 1962 version of the book and added the asterisk telling people to not take her words as they appear. In other words Dad, they were saying that when she said “somebody is to come” she was saying it was herself who had already came. And when she said “when he appears” she meant “when she appears”. It’s pretty ridiculous Dad. Art: Ok , let’s recap son. First, this Victor guy taught we are to go into the land of Israel after the church purification for the purpose of what? Johnny: The Loud cry. You see Dad, the Lord cannot pour out His Spirit upon a mixed group, converted and unconverted. No where in the Bible has He ever done such a thing. Do you remember when the Israelites were defeated in the land of Ai, after their great victory in Jericho? Johnny: Well the people did not have God’s Spirit with them because of one man, just one sinner named Achan. God told them that He would abandon them if that one sinner was not removed. So Joshua discovered who it was that had stolen some items from their prior victory in Jericho. The Lord had Achan and his family along with all their possessions stoned and buried right in the desert. According to Victor this was a type of the church purification, because in order to get to the kingdom (Israel) the Lord had to do a purification of any sinner in the midst. So the anti-type is us today and the upcoming purification. Art: Well that all makes sense but does the Scriptures say anything more concrete about this purification? “Who is this that cometh from Edom, with dyed garments from Bozrah? This that is glorious in his apparel, travelling in the greatness of his strength? I that speak in righteousness, mighty to save. Why is Your apparel red, And Your garments like the one who treads in the wine press? Johnny: His garments are stained red because of the unfortunate dreadful church work the “Mighty to save” One has to do. “For, behold, the LORD will come with fire, and with his chariots like a whirlwind, to render his anger with fury, and his rebuke with flames of fire. For by fire and by his sword will the LORD plead with all flesh: and the slain of the LORD shall be many.They that sanctify themselves, and purify themselves in the gardens behind one tree in the midst, eating swine’s flesh, and the abomination, and the mouse, shall be consumed together, saith the LORD. For I know their works and their thoughts; the time is coming to gather all nations and tongues. And they shall come and see My glory.And I will set a sign among them, and I will send those that escape of them unto the nations, to Tarshish, Pul, and Lud, that draw the bow,to Tubal, and Javan, to the isles afar off, that have not heard my fame, neither have seen my glory; and they shall declare my glory among the Gentiles. Johnny: Do you see that after this slaying by the Lord there are those who escape and go to all the world to proclaim the Lord’s glory and then bring in brothers and sisters from around the world, into a clean vessel, meaning they will worship the Lord in a clean church? Never before has this happened in history Dad, it is yet future. Art: My Son, why haven’t we as SDA known about all this? What are we doing? I never knew all this was in the Bible and SOP! Johnny: The Lord through Ellen White saw that when the Elijah comes he would be told he teaches falsely and they , the SDA church leaders and General Conference, will tell the people what is truth not this man who many think is the Elijah. “..I would remind you, Brethren, that no prophet of God has ever been welcomed by the church. On the contrary, each in his time was rejected, abused, and most of them were martyred by the ones to whom they were sent — the very ones who were supposed to be serving God! Indeed, the Lord Himself paid the same price. For this very reason we must remember that when the last prophet comes he will have the greatest opposition to meet, for Satan well knows that if he loses now, he loses forever. What makes Elijah’s work especially hard is that Christendom has long been drilled in the idea that no prophet is to come, that there is no necessity for one, that it has enough revealed Truth to carry it inside the Pearly Gates. Art: Why do you think they wanted to hush him up? Johnny: It was because he was calling out their sins. He was showing the people how God, through the Scriptures and SOP, was soon not going to tolerate the people who had great light yet continued in their sins. Reformations such as dress, eating, worship, medical, schools, Sabbath keeping , etc were all addressed in his writings and the GC knew that should this reformation call take hold the leaders and their own growing structure would be forced to change everything. They had already began to retreat towards Egypt and had no intention of halting this backward direction. Their medical institutions and schools were fast conforming to worldly standards, and just as the Romans in Constantine’s day decided to appease the worldly masses and lower their standards to gain more attendance to their churches, so too the SDA leaders. The Lord’s strict word became loosely followed. Sin no longer meant sin but a human weakness that we couldn’t really overcome in this life. Art: This truly is enlightening son. So how long have you been studying these writings? Johnny: For a little over a year. What I did Dad, is I checked it all with Scripture. The main test was –“To the Law and to the testimony.” (Isaiah 8:20) I checked if he taught correctly about all the Ten Commandments, and then I checked if he taught what the prophets taught as well, including our prophetess Ellen White. Art: Ok son, this has been a good study, I will make you a promise. I will study what you have and if it’s truth your Dad will be on board, deal? The above story, although a allegory, is intended to make us think. The truth is something we as SDA are truly in need of today. The Lord knew we would need more truth and a better understanding of prophecy, otherwise he would never have promised a prophet, Elijah, to come and bring the Lord’s last message to us. Just as Art showed that despite his prior beliefs, when new light was presented to him, he was willing to look, listen and move upon it. My prayer is that all who read this blog will be like Art. You’ll not regret it! In our post last week we laid the groundwork for the purpose of the Elijah’s coming. We found that the Lord sent a message through him, in order that we can know of His next coming. As we have posted before, the vast amount of SDA do not know about this “sudden” coming of the Lord to His Temple (church). Yes this is indeed His next coming. It will not be visible, as in the well-known “second coming”. Additionally this coming shall effect only His remnant church. With this truth firmly in mind, we continue to expose the Scriptural discoveries that the Elijah prophet uncovered in order for us to be prepared, to stand in that great and dreadful day of the Lord. You see brethren, if we truly believe in His word, we know it does not fail. And the reason why present truth believers are very content and even joyful is that they know the road map, the way of the Lord’s plans. And these plans are not well-known due to the fact that the vast leadership (not all though) within the SDA have either purposely rejected the humble man sent to us, or they remain in blissful ignorance, unwilling to hear the “Spirit of Truth” that is promised each of His truth believers AND practitioners. Ok ,let us now look at more prophecies. Here we find the Lord’s prophet expounding upon this book as no one has ever done before him. Chapter 1 provides details of the Lord’s travelling throne, the mysterious “wheel within a wheel”. The Jews of old held this book in such reverence that one could not read it until he was 30 years of age (according to St. Jerome’s writings). Chapter 9 is thoroughly dealt with throughout the Rod writings. It explains the when , where and why. The Spirit of Prophecy shed “some” light on this prophecy but it was the Elijah who expounded upon this solemn church judgment. He showed the many other prophetic Scriptures that also describe the judgment from different symbols and viewpoints (such as Rev. 12 and Daniel 2 for example). Chapter 36 to 39 deal with the upcoming pre-mil Kingdom. In Chapter 47-48 goes into the specifics of the kingdom (land borders, locations, etc.). The prophet show us the correct interpretation. Amazingly once we see the two interpretations–SDA vs. Inspiration we are truly joyful to see the true great light in this “stone that is cut out without hands” prophecy. In short, this describes the church purification (cut out without hands) and the pre-mil kingdom (breaking the image and filling the earth as a great mountain). Chapter 7 and 8 are wonderfully explained. Again, it is often different that what we have been shown through traditions as to meaning. Chapters 11 and 12 are interpreted as well, giving us some end time events to come. Although a short book, this book is packed with specifics on the days after the church purification, the great army of God and what they will be like and do. Awesome reading for the present truth believers! Chapter 2 was praised by the prophet for being so descriptive of God’s elect, the 144,000. The book of Micah is unique. As it is the one book that the Lord directly instructs us to hear His Rod. “The Lord’s voice crieth unto the city, and the man of wisdom shall see thy name: Hear ye the rod, and who hath appointed it.” Micah 6:9. Note it is the Lord’s voice. The voice is crying in the“city.” (City, or Jerusalem are symbols of God’s church the same as “mountain,” the difference between the symbols being that “mountain” means the entire denomination, but “city” means the leading part of that body.) By what means is the Lord’s voice crying in the city (church)? The last part of the verse answers the question: “Hear ye the rod.” To hear a rod, it must be the kind that can speak. The above is, as we said not all of the prophetic discoveries from the Lord’s last prophet but we wanted to give an idea of the vast scope that entails His very last message of Elijah. The purpose of Elijah as we have learned is two-fold. 15 Tracts, 8 Misc. Tracts, 5 Answerer books, Timely Greetings sermons vol. 1 numbers 1 to 52, volume 2 numbers 1 to 48, 9 Jezreel Letters , Shepherd’s Rod books volume 1 and 2, Symbolic Code news publications, volume 1 to 10 no.2.NOTE: Some organizations publish Sym. Codes volumes after this (vol.10 no. 7 to vol. 13, no.11-12) but we cannot subscribe to those as they were not published by the prophet and are suspect as to originality. Two, subsequently to know what our responsibilities are to be once the church purification occurs. Simply put that is to set up headquarters in the Holy land and then to proclaim the long-awaited Loud Cry to all the world. As mentioned the book of Joel describes a clear future projection of the 144,000 and their work. For, behold, the LORD will come with fire, and with his chariots like a whirlwind, to render his anger with fury, and his rebuke with flames of fire. For by fire and by his sword will the LORD plead with all flesh: and the slain of the LORD shall be many.They that sanctify themselves, and purify themselves in the gardens behind one tree in the midst, eating swine’s flesh, and the abomination, and the mouse, shall be consumed together, saith the LORD. As we all know, the original type Elijah, never died. He was translated to heaven on a chariot and remains there today. So when the Lord promised an end time Elijah, what was the purpose? Let us look into this important area. Let us first read what brother Houteff said about the Elijah to come. As no one can in either honesty or impunity stand aloof to the answer which comes from God’s infallible Word, surely you brethren will now give the most serious attention to this urgent consideration, letting nothing distract you from it for you, as well as I, must realize that it means life and eternity to all of us. No one can afford to commit the absurdity of either treating lightly or of kindling sparks of his own on the subject. We should remember, moreover, that it is not possible that God should leave a one of us in darkness if we want to know the Truth, and if we are mindful of what God would have us to do. (“The Great Controversy,” p… 560). To the end that this may be the happy experience of all of us, we should pray that the Spirit Who leads into all Truth would direct this effort. However, I would remind you, Brethren, that no prophet of God has ever been welcomed by the church. On the contrary, each in his time was rejected, abused, and most of them were martyred by the ones to whom they were sent — the very ones who were supposed to be serving God! Indeed, the Lord Himself paid the same price. For this very reason we must remember that when the last prophet comes he will have the greatest opposition to meet, for Satan well knows that if he loses now, he loses forever. Today unfortunately was have a great confusion, or should we say blissful ignorance of the very last message to come to us as His remnant people. Many us SDA say , “Jesus is coming, Jesus is coming.” Yet is this not what all the other so-called Christian churches are proclaiming? The Lord has specifically sent us a message, unlike them, so that we shall know all about His “next” coming, if we want it that is. The remnant church has within its reach , great and wonderful prophetic descriptions describing His plans, His methods, and His coming. Last week we posted of how the Lord led us into His sanctuary to speak of one of the many prophecies (Rev.12) that came directly from the pen of Inspiration–the Elijah prophet. But the prophet also brought us many other prophetic interpretations, which we shall briefly summarize in this post. But before we do let us remember that the Elijah was to come sometime “before” the great and dreadful day of the Lord. And this being so, obviously, the message must be a preparatory message enabling us to stand in the day of that great and dreadful day. Additionally Elijah was to prepare the remnant to go to the pre-millennial kingdom. This teaching is one of the most awe-inspiring of the whole Elijah message! Malachi once again sheds light on the purpose of Elijah’s coming. “Behold, I will send my messenger, and he shall prepare the way before me: and the Lord, whom ye seek, shall suddenly come to his temple, even the messenger of the covenant, whom ye delight in: behold, he shall come, saith the LORD of hosts. But who may abide the day of his coming? and who shall stand when he appeareth? for he is like a refiner’s fire, and like fullers’ soap:And he shall sit as a refiner and purifier of silver: and he shall purify the sons of Levi, and purge them as gold and silver, that they may offer unto the LORD an offering in righteousness.Then shall the offering of Judah and Jerusalem be pleasant unto the LORD, as in the days of old, and as in former years. Ok let us now look at some of the specific areas of Scripture that the Elijah uncovered and how fascinating these prophetic truths are in the Holy Writ. If you take the time to read these references they shall indeed lift us up for a bright future. Or if we have still rejected the last message they may make us uncomfortable due to the solemnity of His church judgment. This book shows us the Pre-Mil. kingdom and the church purification . These references are not all in the book of Isaiah but we will point out some of the well-known and clear ones. This book also deals much with the Pre-Mil kingdom. Next week we’ll look at more prophecies, stay blessed.